40 Years PET Bottle, Jar Supply - Young Shang Plastic Industry Co. Ltd.
plastic bottles, wide-mouth jars supply - Young Shang Plastic Industry Co. Ltd.
Young Shang Plastic Industry Co. Ltd. (Young Shang) has become one of the largest plastic bottle and jar providers in Taiwan as it has unveiled a six million USD plant expansion recently. "It is necessary to extend our plant in terms of product quality, production capability and inventory space enhancement," said Hank Lee. The expanded plant is about 9,000 square meters, which is five times larger than the original one. The newly expanded plastic bottle plant is fully equipped with Japanese-made 100% automatic Single Stage Blow Moulding Machines, Two Stage Blow Moulding Machineries, Injection Moulding Machines, NISSEI ASB Machines, examination labs and a giant inventory space. In particular, with the Single Stage Blow Moulding Machine, Young Shang has not only upgraded their production capability, their self-designed and modified cavities are capable of fabricating dynamic sizes of bottles in a single step, which meets the Taiwan market's demand for small orders with diverse options of plastic bottles. In the expanded plant, Young Shang will be focusing on manufacturing plastic bottles, wide-mouth jars including PET bottles, PET food jars, PET plastic containers, HDPE plastic bottles, PVC plastic bottles, PP plastic bottles and PS plastic bottles with various sizes. Along with the plastic container plant is expanding, Young Shang also has a plant that only manufactures PET plastic bottle injection moulds. It is a super-sized plant for mould design and making only, and it contains more than 300 unique shapes for customers to choose. 17.9 Seconds/4 Plastic Jars. About 20,000 Jars/Day. Whether you are buying apple juice or a bottle of water, you will notice that plastic bottles are more commonly used today. 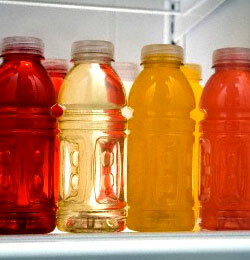 Whether you are buying apple juice or a bottle of water, you will notice that fewer glass bottles are used today. 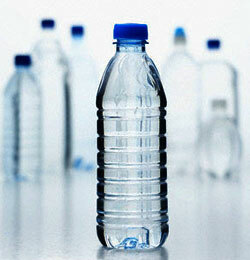 Plastic bottles are more commonly used, and many plastic jars and bottles are made of PET, PVC, HDPE, PP and PS. 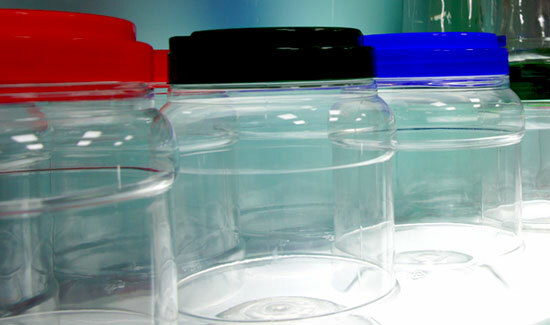 With 40 years of plastic container manufacturing experience, Young Shang's flexibility in making diverse plastic jars have allowed them to be the dominating force in the market in Taiwan, and also sell them internationally. To cope with the high demand from more than 1,000 customers, Young Shang expanded their plant with more machines for production reliability, efficiency and flexibility. Each Single Stage Blow Moulding Machine is imported from Japan and costs around 400,000 USD each. The Single Stage Blow Moulding Machine is designed for suppliers who request plastic containers and bottles with high production capability and good transparency. The Single Stage Blow Moulding Machine makes four plastic containers every 17.9 seconds, which is 20,000 a day, and at the same time with four different shapes. Every machine covers a complete production scope starting from plastic bottles for drinks to containers for cookies or sauces. As it is named, the blow molding process begins with melting down the plastic and forming it into a preform, and the compressed air is injected into the preform to form a plastic bottle within a single-stage. It is a machine that can assist you to increase production volumes, and also build up a solid reputation as a quality plastic container manufacturer. In Young Shang, because PET's excellent chemical barrier, PET bottle has become their major product. For every client, a material report is provided with details to ensure the quality of plastic. 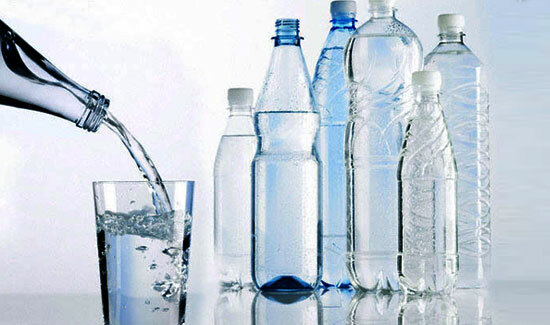 In general, Polyethylene Terephthalate (PET) is commonly used for water bottles because of its excellent heat resistance, and it is also suitable for plastic containers due to its chemical resistance characteristics. Colored plastic bottles or jars are for UV resistance purposes; PP plastic bottles are made for high heat resistance; and PE plastic bottles can be made for chemical resistance. 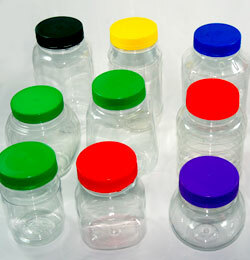 Polypropylene (PP) is used primarily for jars and closures and provides a rigid package with excellent moisture barrier. One advantage of PP is its endurance at high thermal levels. High Density Polyethylene (HDPE), fabricates naturally clear and flexible bottles, and is compatible with a wide collection of products including plastic containers and jars. Polyvinyl Chloride (PVC)'s toxic containment has discouraged users' usage and PS’s hardness makes it break easily. Plastics are classified by the resin identification code, which contains HDPE, PET, PVC, PP, PS, etc. When a plastic bottle is made, besides visual examination for transparency and leakage, some tests require machines to perform the test results. The tests include transparency, thickness, maximum usable temperature, brittleness temperature, moisture barrier, sunlight barrier, oxygen barrier, tensile strength, flexibility and resistance to impact and heat. Young Shang ensures all PET plastic bottles are certified and tested for local and international buyers. FDA is an agency within the Department of Health and Human Services and consists of centers and offices, which are listed in menu at left. The FDA is responsible for protecting the public health by assuring the safety, efficacy, and security of human and veterinary drugs, biological products, medical devices, our nation's food supply, cosmetics, and products that emit radiation, and by regulating the manufacture, marketing, and distribution of tobacco products. RoHS is the name for a directive passed by member nations of the European Union (EU) that restricts the use of certain substances in production of electrical and electronic equipment. Defined as the Removal of Hazardous Substances, this directive (2002/95/EC) specifically restricts six substances – Lead, Mercury, Cadmium, Hexavalent Chromium, PBB and PBDE. Member States shall ensure that, from 1 July 2006, new electrical and electronic equipment put on the market does not contain any of the six banned substances: lead, mercury, cadmium, hexavalent chromium, poly-brominated biphenyls (PBB) or polybrominated diphenyl ethers (PBDE), in quantities exceeding maximum concentration values. Young Shang has more than 1,000 clients, which are mostly from Singapore, Malaysia, Thailand, Australia, The U.S., Taiwan, etc. In 2010, they started targeting the Middle East market. 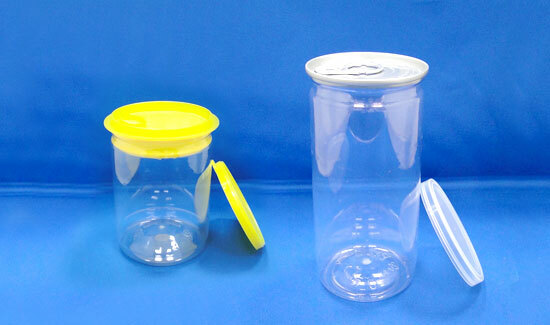 Young Shang's plastic jars and plastic bottles are used in most of international stores and plastic product suppliers, such as Walmart, Costco, KSS, etc. In addition, their exclusive mould making plant with more than 300 mould selections is amazing, it contains blow molds, injection molds and preform making molds. It gives their customers alternatives to upgrade their plastic bottle/jar designs. Overall, Young Shang's great customization capability comes from their 40 years of plastic bottle manufacturing experience, and their pursuit of excellence in plastic bottle solutions have earned them a solid reputation. Check out PET bottles, PET food jars, plastic container, HDPE plastic bottles, PET plastic bottles, PVC plastic bottles, PP plastic bottles, PS plastic bottles. Walmart.com is a lot like your neighborhood Walmart store. They feature a great selection of high-quality merchandise, friendly service and, of course, Every Day Low Prices. They also have another goal: to bring you the best shopping experience on the Internet. Founded in January 2000, Walmart.com is a subsidiary of Wal-Mart Stores, Inc. Their headquarters is on the San Francisco Peninsula near Silicon Valley, where they have access to the world's deepest pool of Internet executive and technical talent. Costco Wholesale Corp. began operations in 1983 in Seattle, Washington. Costco operates a chain of cash & carry membership warehouses that sell high-quality, nationally branded and selected private-label merchandise at low prices to businesses purchasing for commercial use or resale, and also to individuals who are members of selected employment groups. The Company's business is based upon achieving high sales volumes and rapid inventory turnover by offering a limited assortment of merchandise in a wide variety of product categories at low prices. KSS, KAI SUH SUH ENTERPRISE CO., LTD. was established in 1969, as the leading manufacturer of cable ties and wiring accessories in Asia, with 4 branch offices in Taiwan serving more than 20,000 accounts in Taiwan and 110 countries in the world. KSS is the only manufacturer supporting you with full competitiveness. Cinn and NAIA together to celebrate Taiwan's 100th birthday, from Oct 10th to Nov 10th, 2011, new partners can receive free shipping for orders. Do not miss this great business opportunity!